Chow Down Seattle: TV SHOWS: Jason Stratton on Top Chef! TV SHOWS: Jason Stratton on Top Chef! 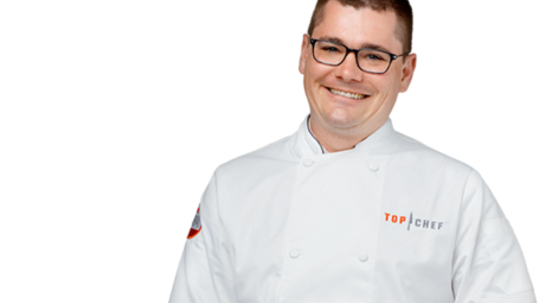 Seattle's Jason Stratton (General Manager/Executive Chef, Mamnoon) will be on season 13 of Top Chef! The two-night premiere airs Wednesday, December 2nd and Thursday, December 3rd on Bravo. Top Chef will be road tripping across the Golden State of California with stops in San Diego, Palm Springs, Los Angeles, Santa Barbara, Oakland and San Francisco. Padma, Tom, Gail, Richard and Emeril will be judging the chefs culinary creations through their six-city expedition. Check out the Top Chef Season 13 preview! Top Chef California: West Coast Here We Come! I can't wait for the start of Season 13 of Top Chef, and I wish Jason Stratton the best of luck!